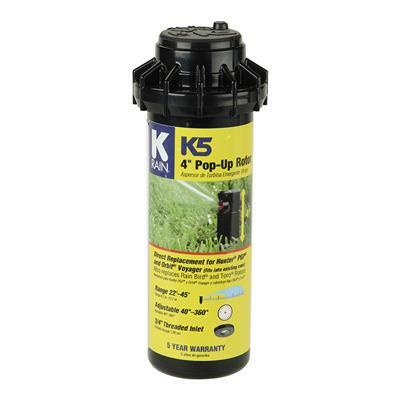 With the superior ability to deliver even water distribution from precision engineered nozzles, the K5 Rotor Sprinkler is unequaled for reliability, durability, versatility and value. This rotor sprinkler gear drive is designed for basic residential and light commercial applications and is a direct replacement for Hunter PGP® rotors. The reversing mechanism, a K-Rain patented feature, is the same mechanism used in the Hunter PGP®.